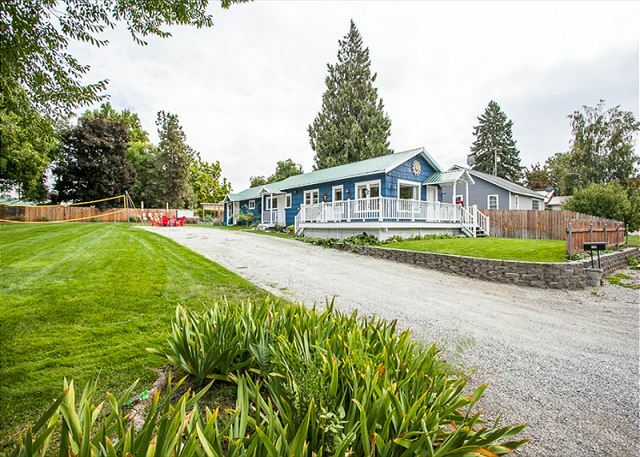 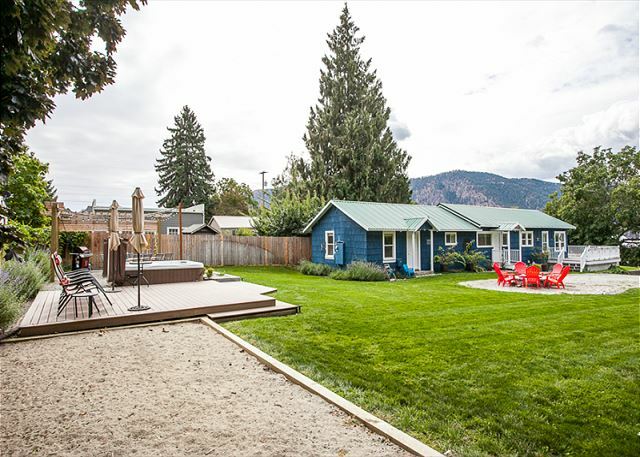 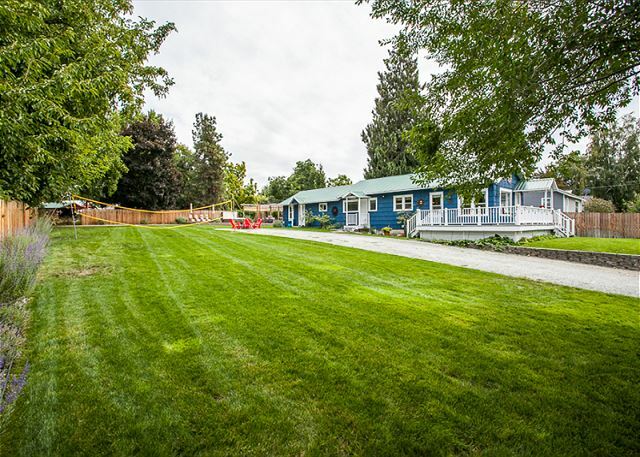 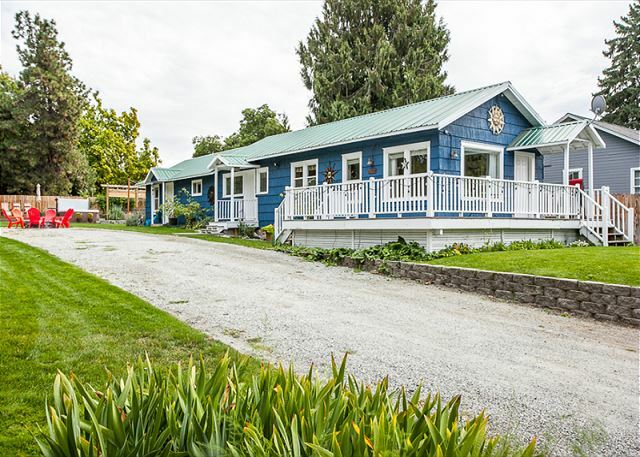 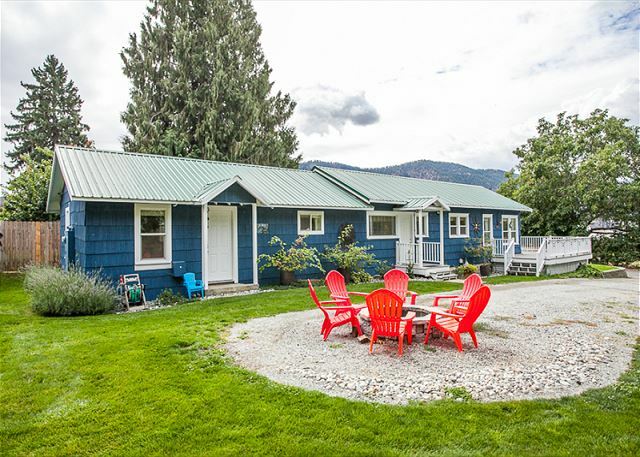 The Cottage by the Bay is the perfect Lake Chelan vacation rental for the guest who wants to be in walking distance to everything FUN! 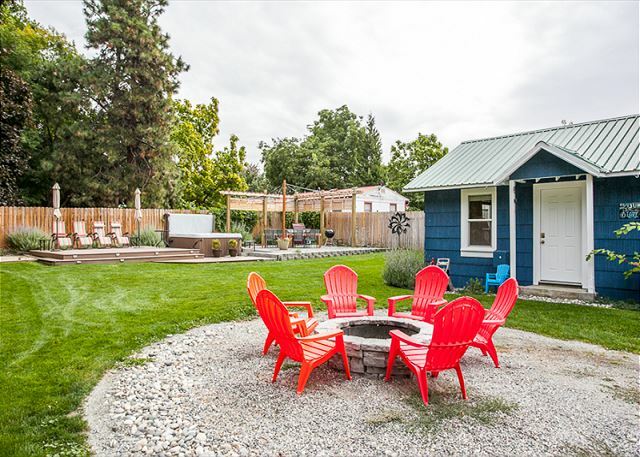 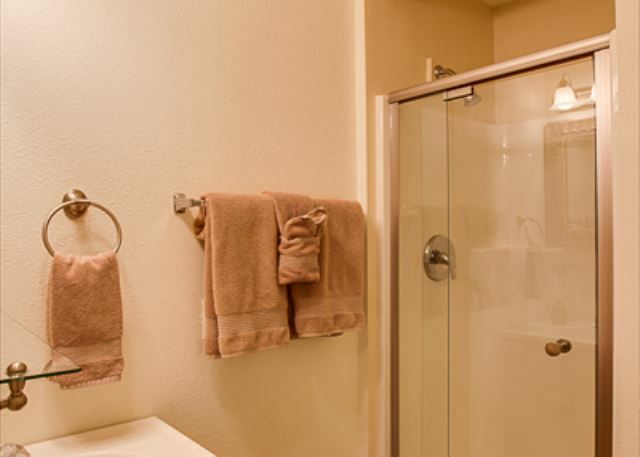 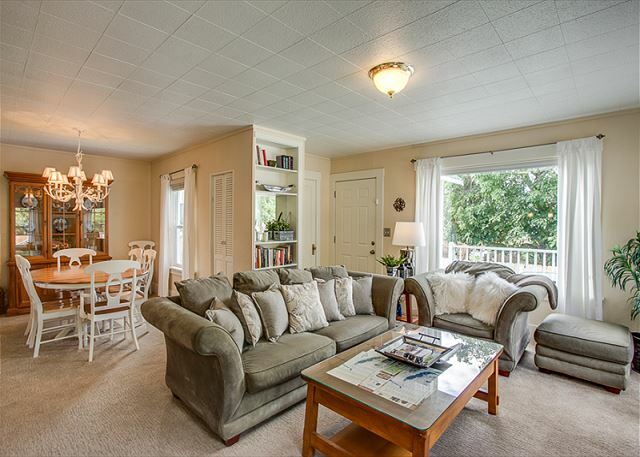 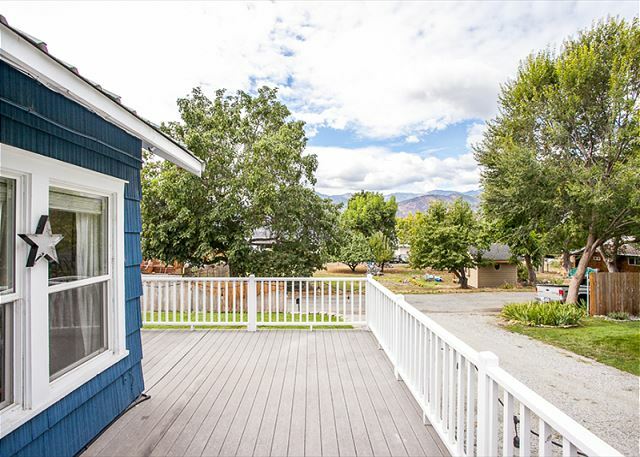 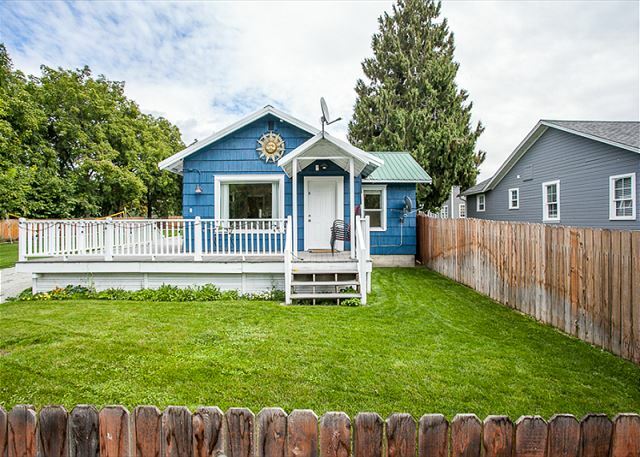 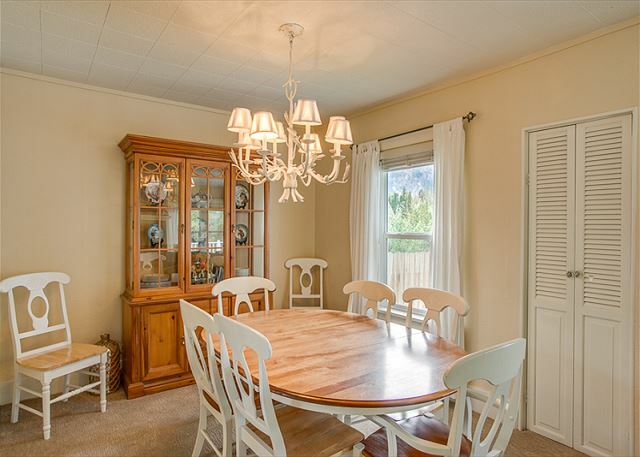 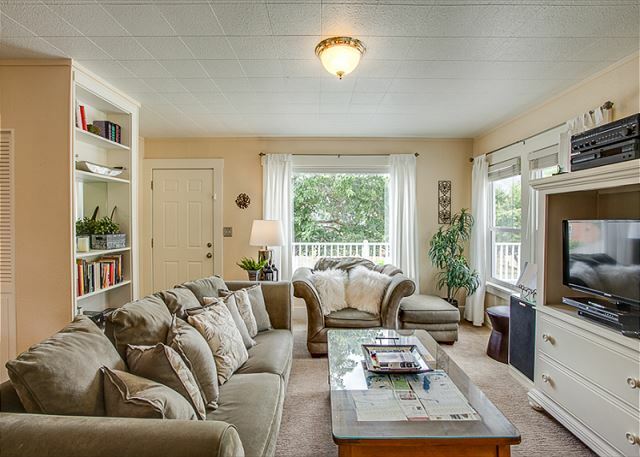 Located just one block from the shops, restaurants, and wine tasting rooms of Main Street Manson and one block from the beautiful waters of Lake Chelan where you will enjoy watercraft rentals, public moorage, and swimming in bay. 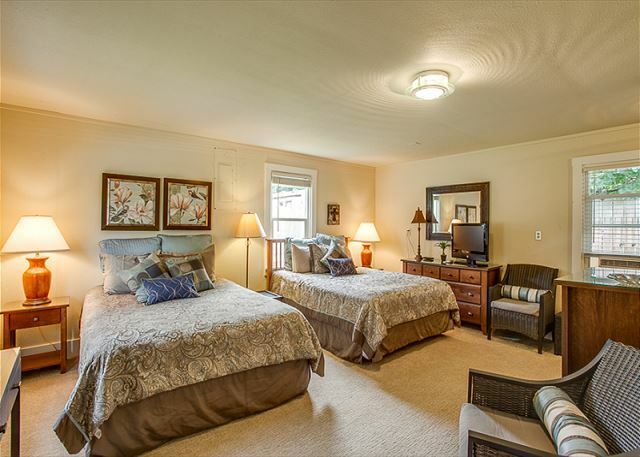 The “Cottage” offers 3 spacious bedrooms, one with a private entrance, and 3 bathrooms (2 ensuite) to comfortably sleep up to 10 guests. 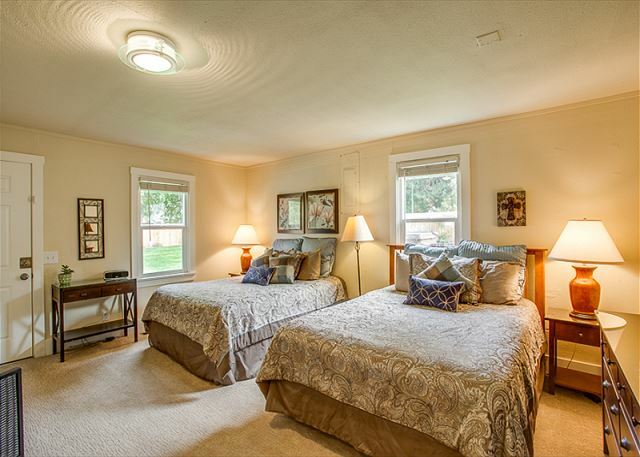 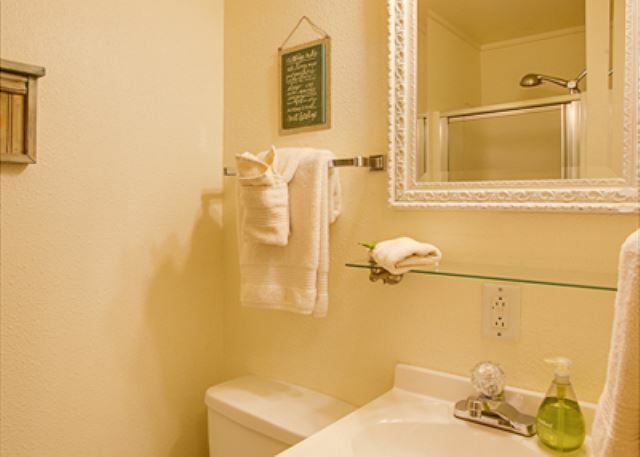 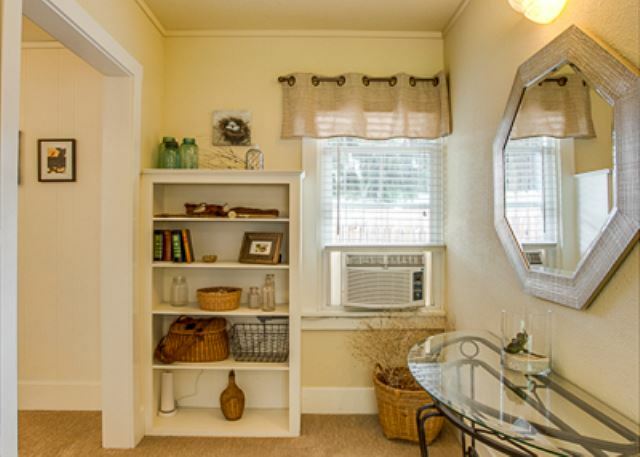 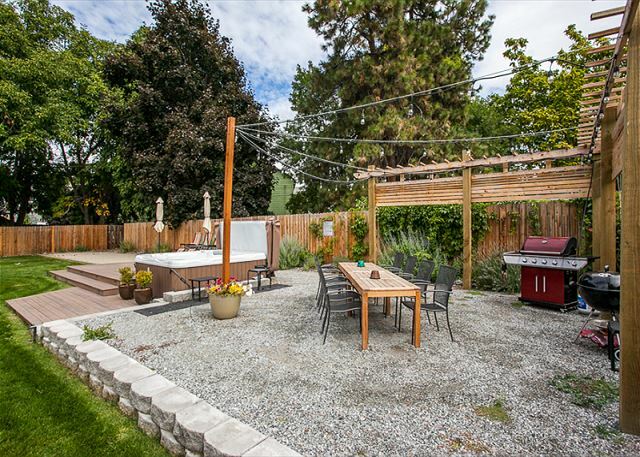 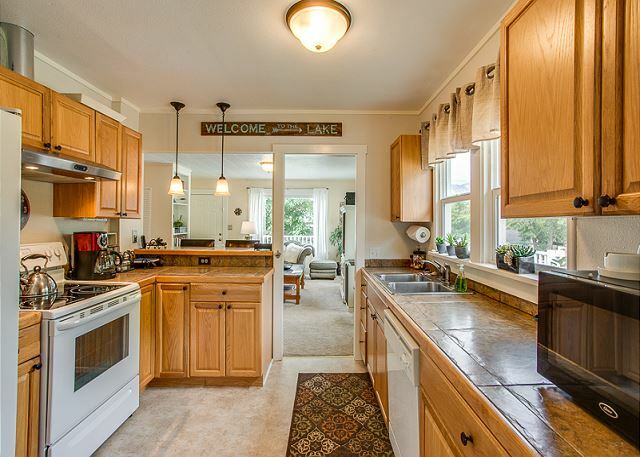 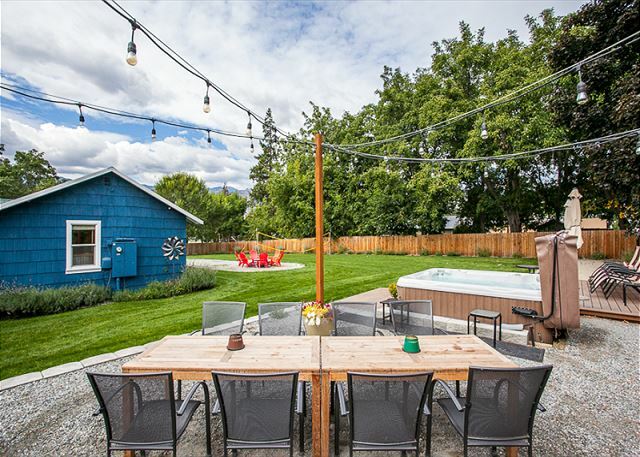 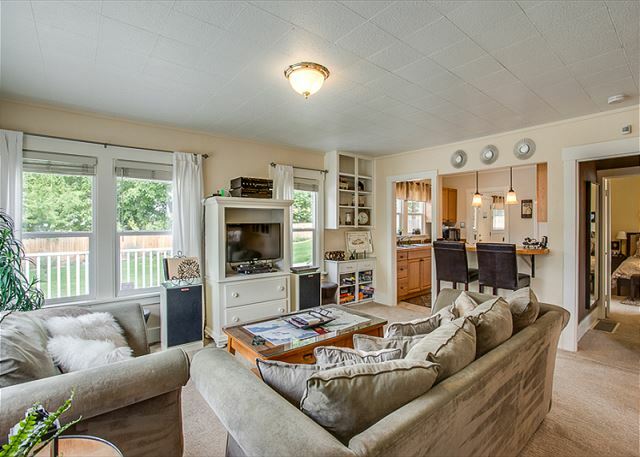 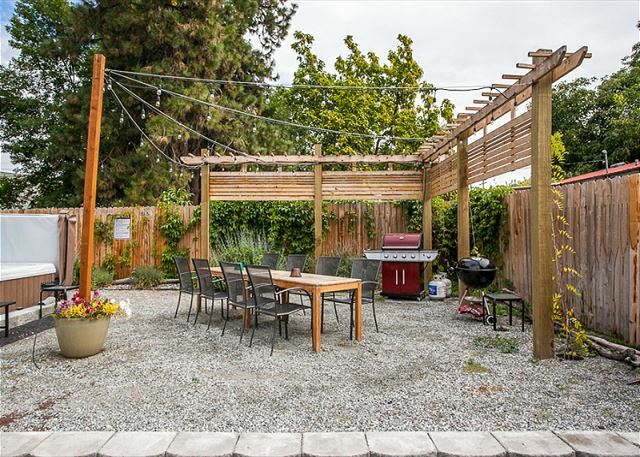 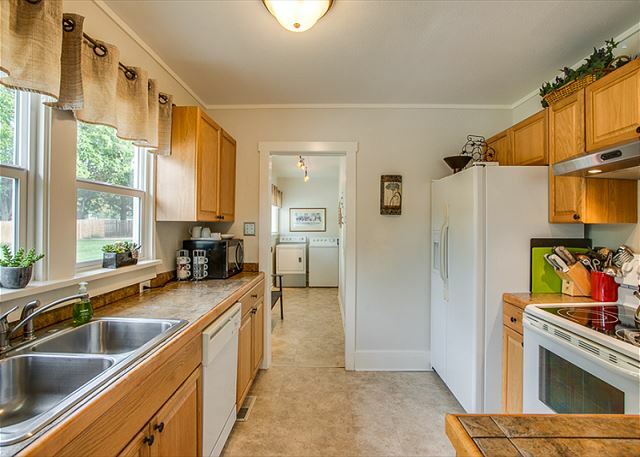 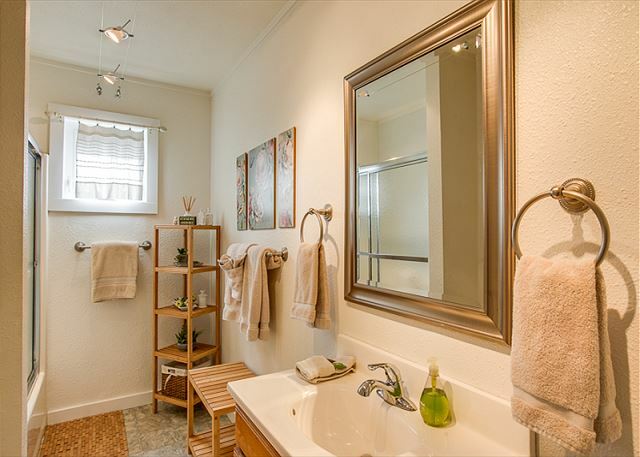 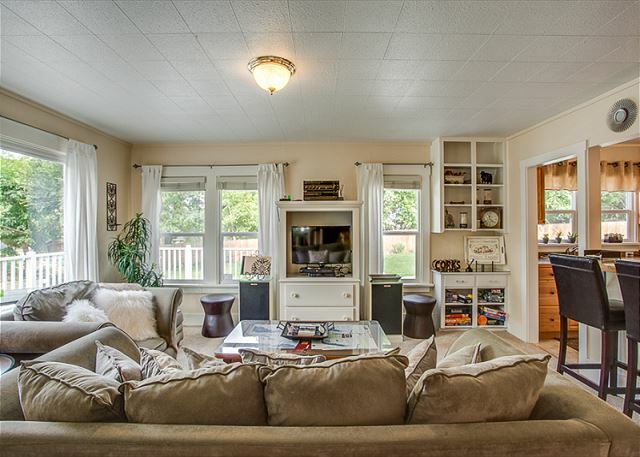 You will enjoy the charming décor throughout this charming vacation rental but the real highlights are the amenities you will find in the beautiful, expansive yard. 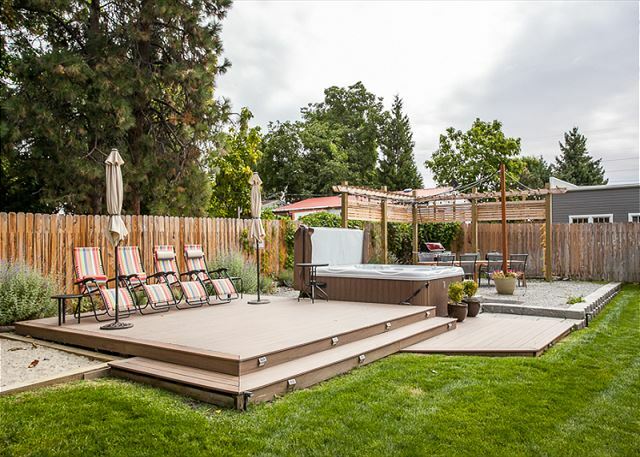 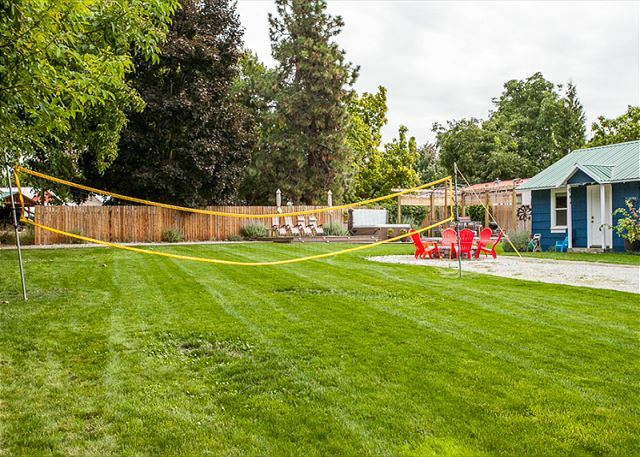 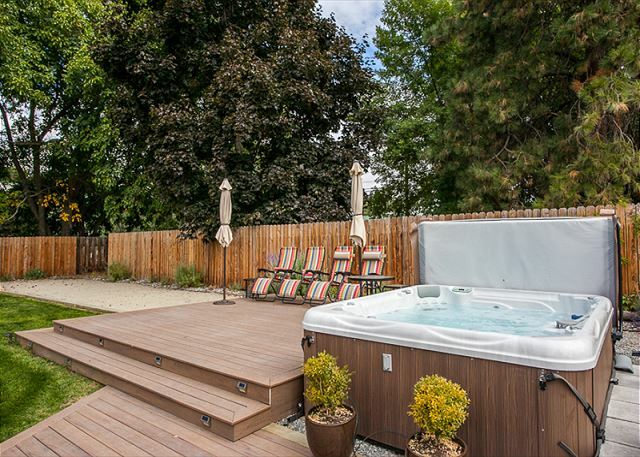 This home boasts a large green lawn, professional grade volleyball net, a 300 square foot ground level deck complete with hanging café lighting, dining for 10 and additional seating, a gas BBQ, a new 8 person hot tub, and a stone fire pit for marshmallow roasting and evening relaxing when burning is allowed. 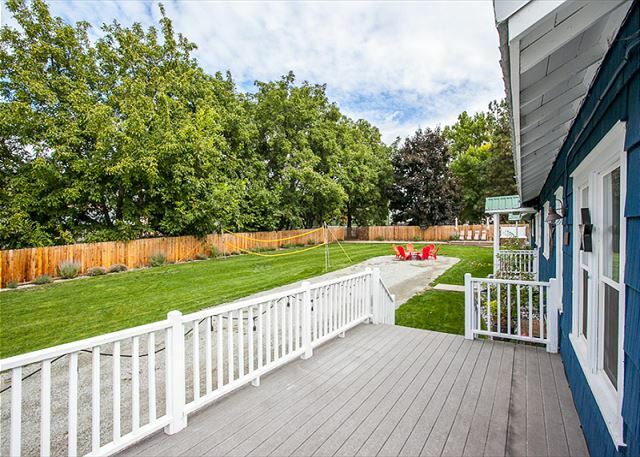 A second deck at the front of the home, with dining for 4, is the perfect spot for your morning coffee or a bit of sun and privacy. 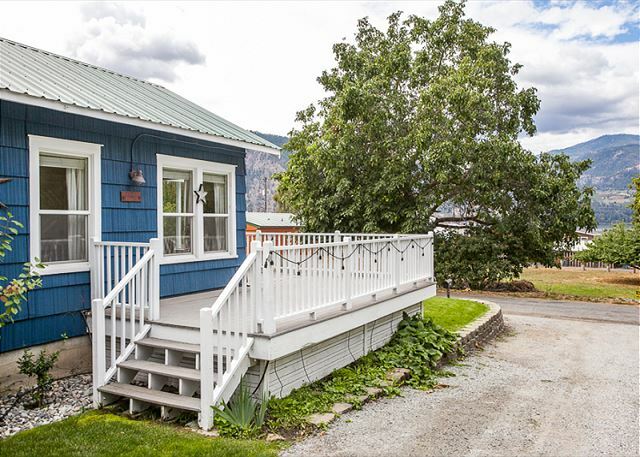 If you are looking for location and value, the Cottage by the Bay has both. 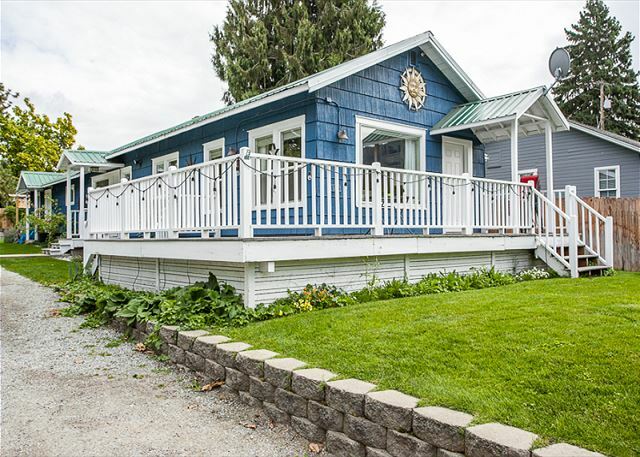 This off water property is so close to the lake and public overnight moorage, you will have the convenience of being on the water at a fraction of the price. 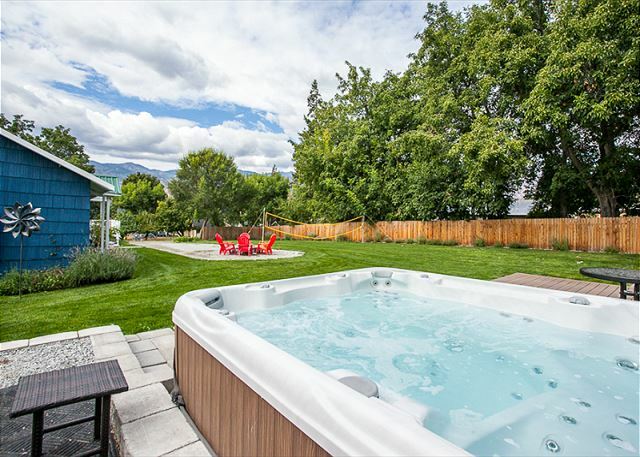 View the full list of amenities to learn more about this terrific Manson vacation rental! 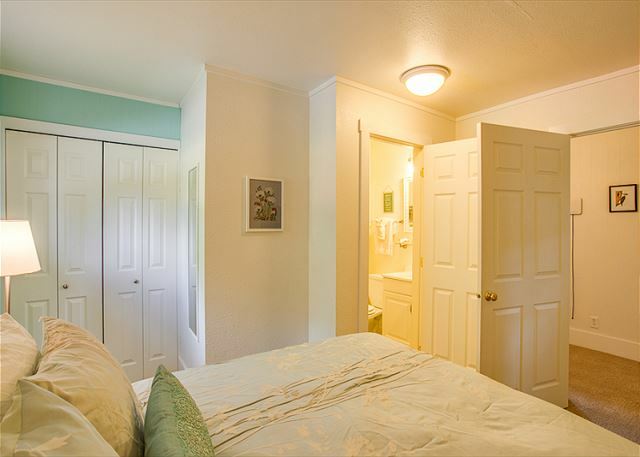 Utility area with full washer and dryer, access to the kitchen and the left guest bedroom wing. 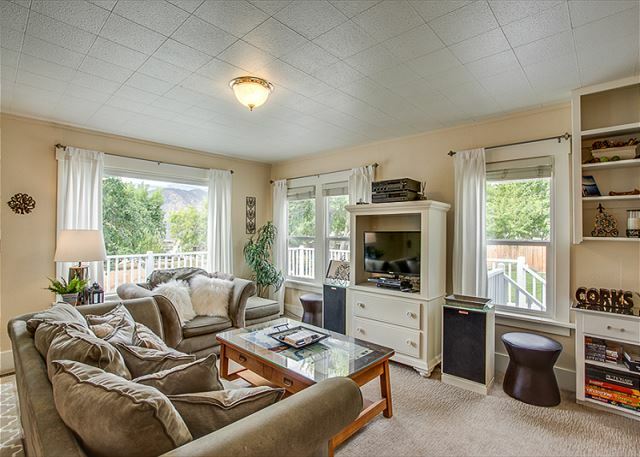 Open living- dining room floor plan: Sleeper sofa (sleeps 2), flat-screen TV, partial views to the lake and surrounding mountains, dining table (seating for up to 9), access to the front deck and outdoor seating. 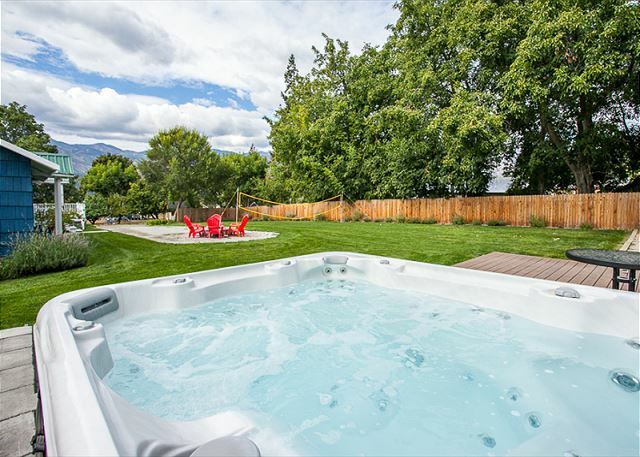 Guest bedroom 3: 2 Queen beds, flat screen TV, ensuite ¾ bath with shower, private entrance and access to expansive yard, hot tub, fire pit and patio.